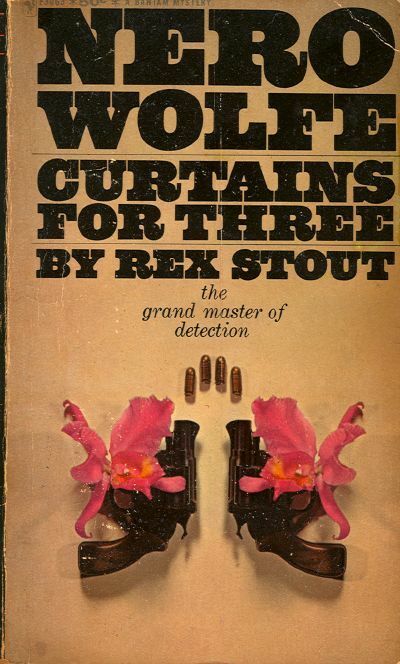 In this collection, Nero Wolfe, the police baiter, is at his devastating best, which means that it’s a book no fan can afford to miss. A murder weapon that wouldn’t lie down and stay put … An opera star who could only whisper … A posse on horseback chasing a killer through New York’s Central Park … A desperate girl with so many aliases she”d almost forgotten who she really was. 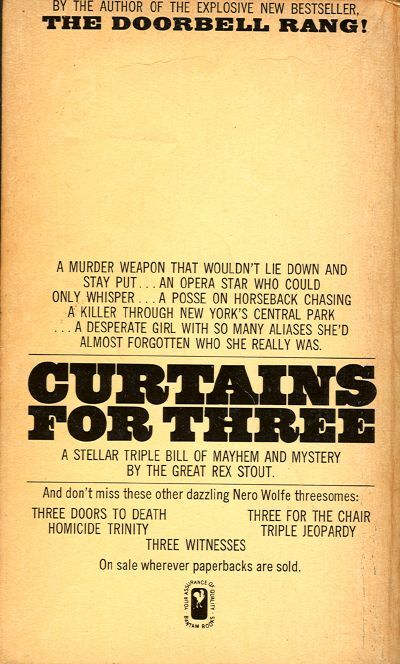 A stellar triple bill of mayhem and mystery by the great Rex Stout.